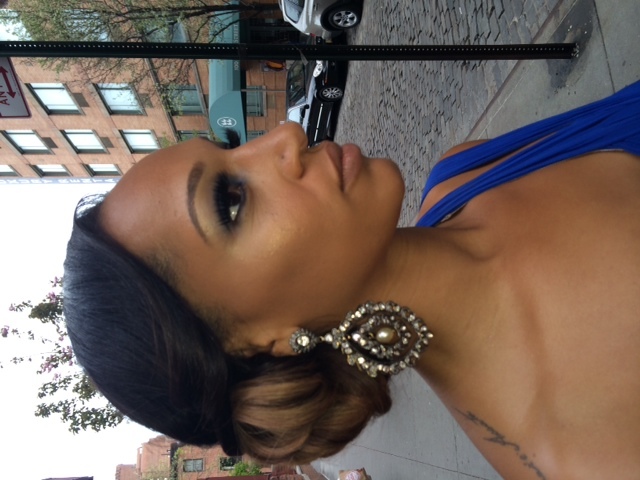 Today’s POTW is in the form of another awesome bridal hair how-to! 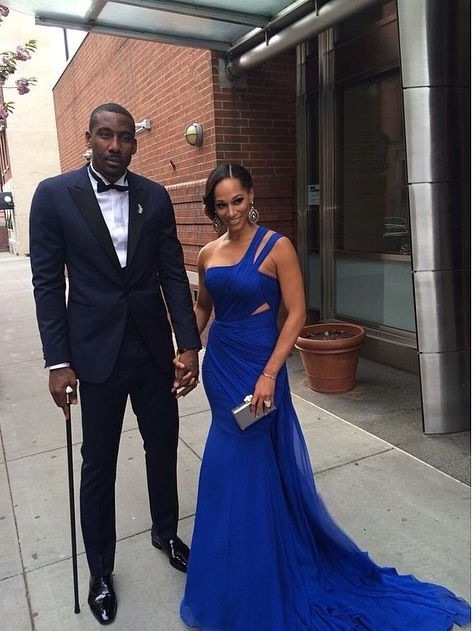 New York City based hairstylist Shedelle Holmes who has worked with the likes of Alicia Keys, Keri Hilson and Jennifer Hudson, is the woman responsible for Alexis Stoudemire’s gorgeous hair at the 2014 MET Gala. Here, she shares exclusively with BlackBridalBliss.com a step-by-step recap of how the classy side swept ‘do was achieved. Take this one to the salon for your wedding day hair trails, ladies! 1. Begin by shampooing and deep conditioning hair. Be sure to use a leave in conditioner before drying. I use the Oribe Supershine Light Moisturizing Cream on Alexis’s hair before blow drying to ensure her hair remains nourished and frizz-free. 2. Next, using a 1 and 1/2 inch barrel curling iron (I like Hot Tools.) I loosely curl the hair before I set Alexis’s hair in pin curls and let cool. Once cool, the pins are removed. 3. Make a clean part on the hair’s left side. Using a medium size Mason Pearson boar bristle brush, gently brush through curls and sweep the hair from the left side of the head to the right side and secured with bobby pins. Make sure you have a smooth finish. 4. At this point, the hair should be hanging over right shoulder. Using hair pins, begin pinning sections of hair. These sections don’t have to be placed in a particular position. Be free with it. This allows for the style to be unique. 5. Finish with L’Oreal Elnett Satin Hairspray! 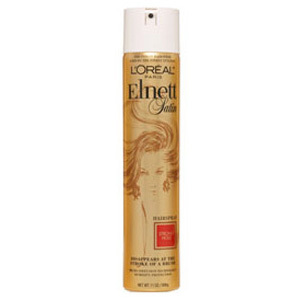 EDITOR’S NOTE: Elnett Hairspray has a cult following in Hollywood. Veteran celebrity hairstylists swear by this stuff. 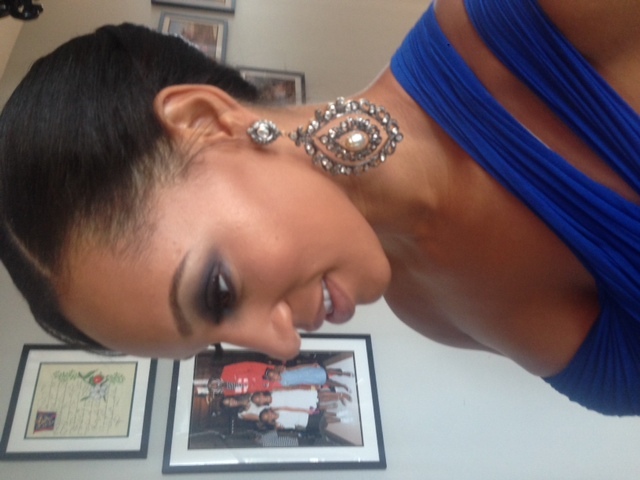 Known for keeping strands in place all day, it is an ideal product for brides and bridesmaids. 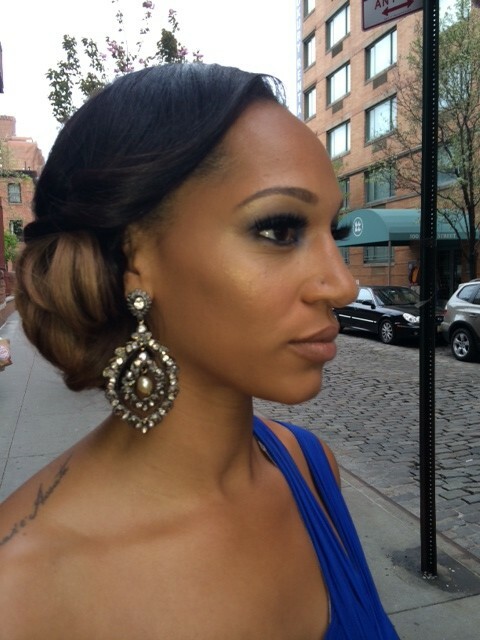 View more fab wedding-day ready hairstyles here. @Marie – Great suggestion! Stay tuned.